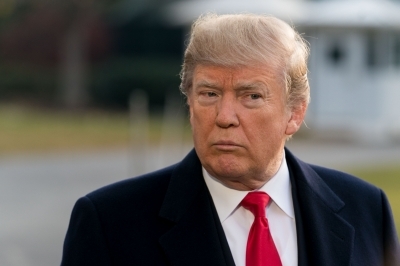 New York April 17 (IANS) A New York court has rejected a motion to prevent prosecutors from reviewing a series of documents seized by the FBI from the offices of President Donald Trump s personal attorney. The documents were seized on April 9 from Michael Cohen s office and from his New York hotel room as part of a series of investigations examining some of his actions Efe news reported. At first the documents had been linked to the payment of $130 000 by Cohen to pornstar Stormy Daniels -- Stephanie Clifford -- in exchange for her keeping silent about the affair she allegedly had with Trump in 2006. But Cohen s attorneys went to court to try and prevent prosecutors from examining the documents something that was temporarily rejected by Judge Kimba Wood at a hearing on Monday. Judge Wood however left the door open to naming a special mediator and to reviewing the possibility that the documents could harm the attorney-client privilege. Among the materials seized by the Federal Bureau of Investigation agents are assorted documents on a number of legal matters and the harddrives from computers in Cohen s office. During the hearing the identity of a third person -- Fox News political commentator Sean Hannity -- was also revealed. It is not known what type of work Cohen did for him. Hannity is considered to be one of Trump s closest advisers outside the administration.